A specialist IT recruitment agency has been preparing for further expansion by moving to new offices in the heart of Birmingham City Centre. Applause IT recruitment has taken over accommodation at One Victoria Square joining some of the region’s top SMEs in a prominent, stunning location widely thought of as the epicentre of Birmingham. 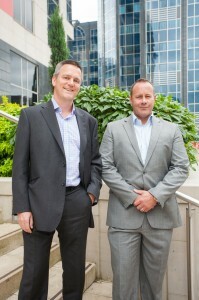 A small but niche recruiter Applause IT was established in 2000 by Mike Scotney and Tim Morris who between them have almost 30 years’ experience in the IT recruitment sector. The last 12 months has seen the company grow rapidly attracting new clients and placing IT professionals with some high profile companies which has created the need for further capacity. By moving to One Victoria Square, Applause IT will be more than doubling its office space ready for the growing demands of the IT recruitment sector. The new central location will allow Applause IT to be more accessible to both clients and candidates as they strive to continue their positive growth and expansion.